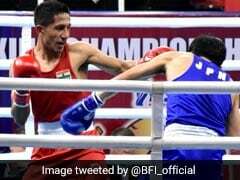 Vijender Singh will face the most accomplished opponent of his professional career when he defends his WBO Super Middleweight Asia Pacific title against former world and current intercontinental Champion Francis Cheka on December 17. Okay, so Vijender Singh didn't really let me have it! But just imagine, a punch coming at you and it's so fast you don't even react. You do see it come, hit you and go back in the position of a guard but by then it's too late to react. 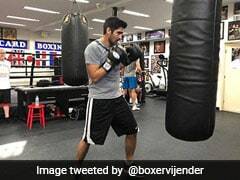 Vijender may portray the quintessential qualities of a loud and feisty Haryanvi but his humble background was on display when this journalist dared to challenge him to a sparring session. He gave us a feel of what it is like to be punched by him by smashing his fists into my chest but only a few times, being careful to avoid the face. 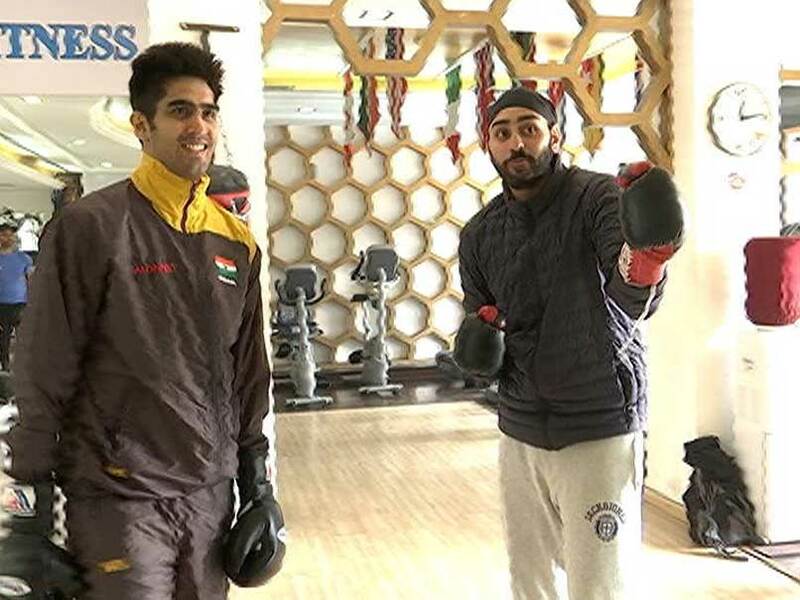 Speed is what Vijender is working on before what is perhaps the Olympic Bronze medalists' biggest professional bout so far. 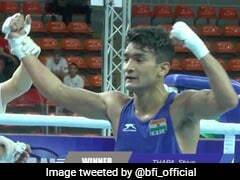 Tanzania's Intercontinental super middleweight champion Francis Cheka vs India's Asia Pacific super middleweight World Boxing Organisation champion Vijender Singh is this Saturday at the Thyagaraj stadium in New Delhi. 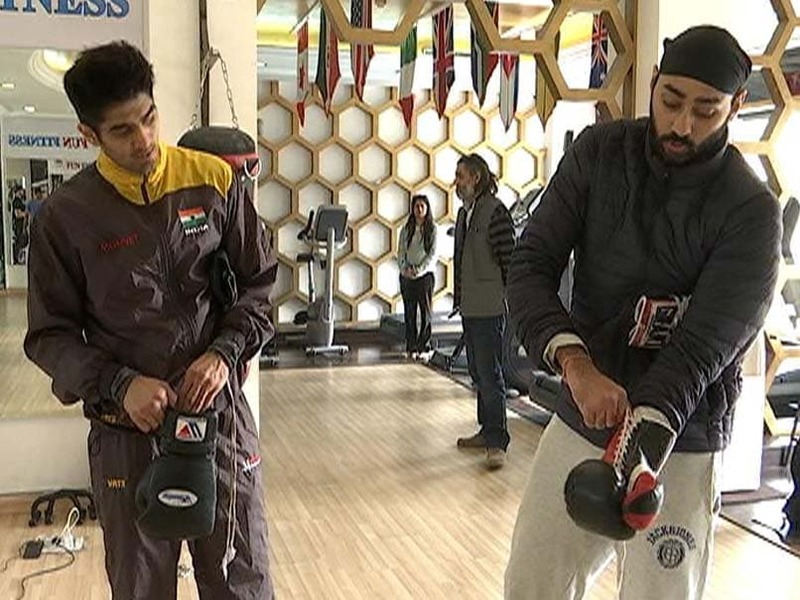 Vijender gave us exclusive access to his training session. That's a big deal. For the simple reason that a boxer is trying to get into a mindset, a frame of mind, a zone just before a big fight and while it's important to appease the media to make people aware of your bout, this was as rare as it gets in the boxing world. The moment we walked in, it felt like walking into a lion's den. Remember, 'Singh' is defined as 'Lion' too. At the press conference on Tuesday, Cheka said Vijender had never faced an African lion and he doesn't know what's going to hit him. 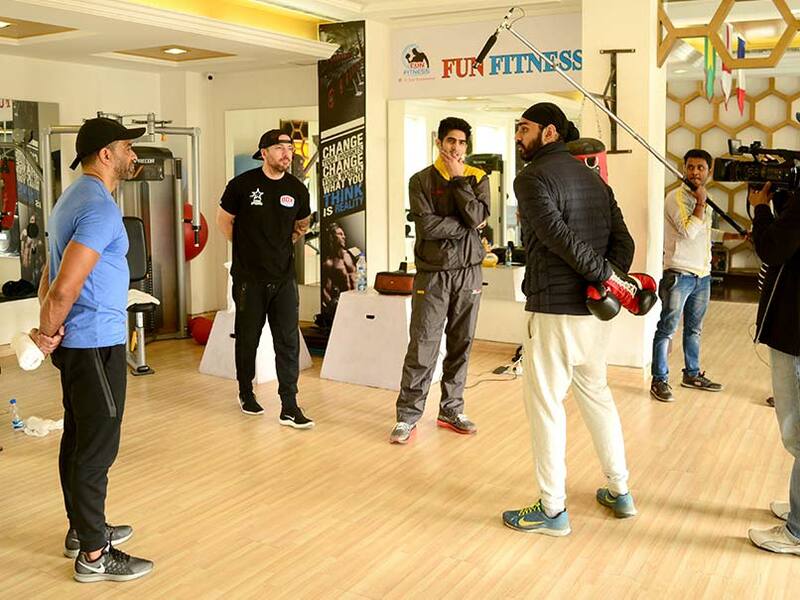 Our objective was to get a feel of a Vijender Singh punch and find out how he's been training for the Thrilla in the Thyagaraja. All right, so we walk in to the gymnasium/lion's den and Vijender sizes me up. I've interviewed him before and attended his wedding. He knew I have boxed a little in the past. I was a boxer back in school and won my weight category. As for my fitness at this time, I ran the Airtel Half Marathon (21.43 Km) just last year. But nothing, nothing, at all compares to taking on a professional boxer at the peak of his fitness just days before his big fight. Luckily for us, we had to let Vijender finish his training for the day before the exhibition bout. That left him tired for the bout with me. Thank God! Vijender usually starts with a little bit of skipping to warm up. Just think of Sylvester Stallone in Rocky Balboa or Will Smith in Ali - both blockbusters had enough skipping. It's what helps you get the hand-eye coordination to launch that knockout punch when you visualize it. It gets your feet moving and Vijender was truly floating like a butterfly. Now to the pads. They are the cushioned gloves held by his coach Lee Beard as Vijender punched into them. The focus here is on technique - the movement to duck following a punch and to counter an attack. The combinations like 'left hook, right jab, left upper cut', all one after the other at the speed of light came one after another. One combination actually left Coach Beard in pain because the Haryanvi had let loose and the combination had ended with a deadly punch which had the sting of momentum. Beard laughed it off as did Vijender. But I saw the coach clutching his wrist half an hour later too. Beard and his conditioning coach John Joyce gave us snippets of how they've managed to get 'V' (That's what they call him) ready for the bout. In the middle of all of this, the music doesn't stop once. Even that pause in the middle of two songs gets Vijender's expression to change. The iPod keeps belting out Punjabi numbers from Honey Singh and the likes. His trademark song when he walks into a stadium for a bout is 'Singh is King'. But in the gym it's all the latest numbers that would be played at Punjabi weddings these days. As a Punjabi myself, the music had already done its bit to make me believe an illusion that I was suddenly an international boxer. Sure enough, a short while later Vijender's unseen left jab woke me up. So, Vijender did wear gloves (with more cushion on them, to keep the pain he'd cause me at a minimal) and I provoked him by landing a few at his chest. I showed him my trademark combinations (the left jab, right jab and left side step hook). He just smiled every time he saw it and avoided it with ease. But it got him excited. Probably because few journalists wear gloves and most throw their punches from the mouth. Soon we had a few moments of him chasing me and me just trying to ward off the punches which frankly I didn't see coming. An amateur boxer has not practiced that punch a million times. So his speed is slow. But Vijender - boy he's fast. His focus with Beard was on technique. He spoke to me about wanting to quell the notion that boxing is an aggressive sport where you just go at each other. It's in fact considered one of the most technical and scientific sports in the world. Because it's about making sure your punch lands correctly in order to catch the eye of those who give you the point. Occasionally, Vijender would slip in an aspect of technique. And his coach would pause and tell him "I need you to be more side on and not show this much of your chest because that gives the opponent less space to target". Vijender cries. He told me so. As much as I wish, none of my lethal punches got him to cry. He was talking about a type of high intensity work out designed by his conditioning Coach John. It's a 30 minute workout condensed into six minutes. Vijender said boxing is tough, this work out has made me cry when I was training in Manchester. At this point I told myself let me get out of here before he makes me cry. 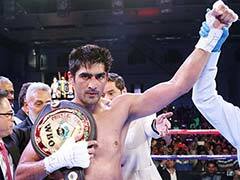 Vijender Singh has indeed a come a long way. From the boisterous, film loving, boxer who could become a dancer to please all us journalists, he was now only looking to go back home, to his child Abir. Abir's going to school now, said Vijender as if he couldn't believe it himself.